Hello Firesiders! Thank you for picking up Issue 154 of Fireside Chats. Mendte and Mr. Maurer are without P. Features in this Issue. It seems as though Late Shift has the upper hand yet again. But fear not Fireside Faithful, you crew of comic connoisseurs are joined by French the Gypsy. There is no other way to start the issue other than talking Netflix. More specifically, Luke Cage. 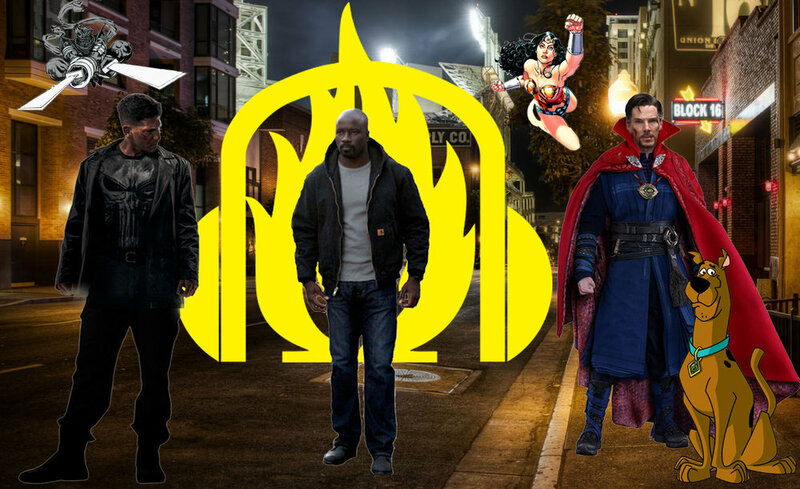 The spoiler free discussion starts with first impressions, symbolism, serendipitous connections and what to expect in the future for Luke Cage. Diving into other Netflix news we have Punisher updates and then Bat in the Sun's first foray into comic TV (sortof). That's just TV news. In comics we have a celebrations for 2000 AD's milestone issue, Scooby Doo tackles the multiverse, DC locks down another big time creative, and Wonder Woman confirms what everyone already assumed. Not to be left out the crew talk movies. Diving into some exciting Wolverine news and Doctor Strange's living accessory. All this and more, Welcome to Fireside.